Something that has been discussed since 2001, with the limitations in making it also know (mostly a man hour question IIRC since it would mostly have to be done manually. Would add nice period-specific atmosphere. TBH probably would only be used by squads/HC and some dedicated milsim bluetags. But it would really help movement planning. Last night 31st had a smallish armored column attacking Rocroi (6 tanks) and I quickly rememberd how difficult it is planning attack vectors since you haven't idea what the elevation is around town. I took us through a forest which ended in a gentle reverse slope leading up to 300m from town completely exposed in a field... in other words not exactky ideal terrain. Would have rather gone N of road where there was a small hill with nice berms. I know when I play Arma, their topographic map guides my every footstep. I'd get all giddy if WWIIOL had one. Regrettably with our current terrain, topographic maps look pretty bad. I was an observer of prior projects, when I modded the old Design/Beta Forum. My view then was that the ugly results come from an algorithm that was too simple to do the job right. If the algorithm ignored cell corners and identified the points where 2.5-meter or 5-meter contours cross cell sides, connecting adjacent same-height cell side crossing points using straight lines that are then auto-filleted using an appropriate function, the result would be much better looking and plenty accurate enough for the desired uses. Of course, it'd be unavoidable that the contour map would show rivers that don't flow downhill in places. That would be a minor issue. 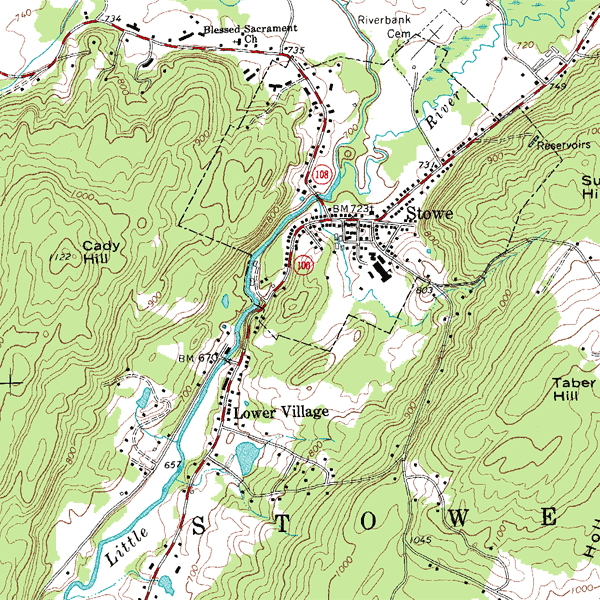 Would love to see topographic maps. I have posted long ago a solution. Place the map outside the game. Something you can charge lets say $1 a month for. <<<Another revenue source maybe. Info is constantly being transferred from Host to Players and back again (their computers). Ingame info we see on map will be shared per side and maybe squad stuff too. <<<Another revenue source maybe. I used to work for a electric company and I had to update topo maps specifically to our needs, scaled, lat/lon, etc. So I know it can be done and this was 18 years ago. lots and lots of stuff. And this my support more team work. <<<Another revenue sources maybe. Don't get greedy <<<Another revenue source maybe. I am sure there are some maps that are historic you can glean and scale as needed. Or at least get you started. We dont need the whole game world, just say 2.5km x 2.5km around most towns? So maps and a chainsaw DLC - hell that would make real money for CRS!! !